Spice up communication with customers with Slack integration. Facebook is a great way for organizations to communicate with their customers proactively and get feedback on their business. Through a Facebook page, an organization can communicate with users about their activities, goods, and services. By connecting your page and Paldesk, you get fast and proactive communication with customers in real time. How to connect Facebook to Paldesk? 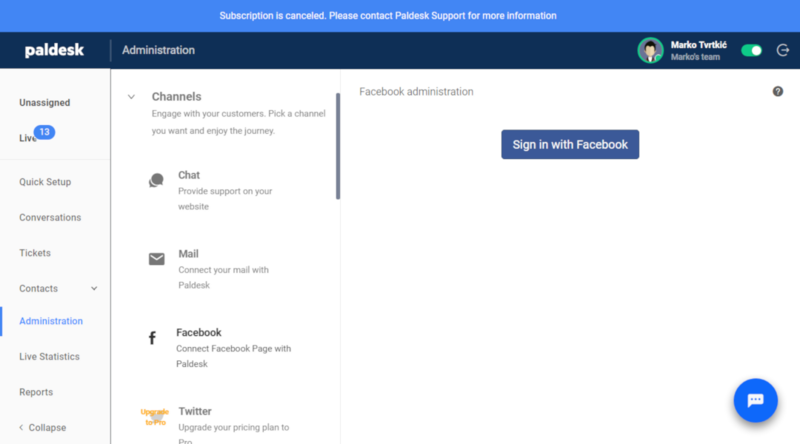 You must be Administrator of the Facebook page you wish to connect with Paldesk.Log inn to your Facebook account to start. Step 1: In the Paldesk dashboard navigate to ‘Administration’. Under the ‘Channels’ tab, there is ‘Facebook’ icon, click on it. Step 2: Press the blue button ‘Sign in with Facebook’. Step 3: Choose the Facebook page(s) you wish to connect and click ‘Save’. 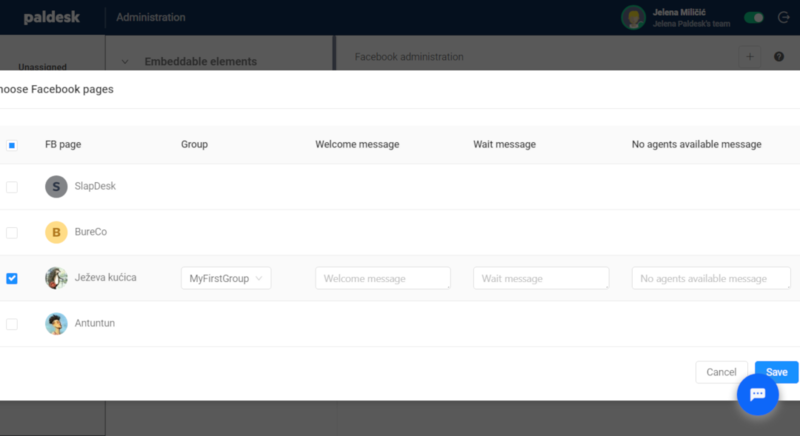 Step 5: A successful connection should appear, it should look similar to the picture below – (‘Antuntun’ is our Facebook page in this instance). Once your Facebook page is connected to Paldesk, you can delete it, edit or add even more pages that you own. 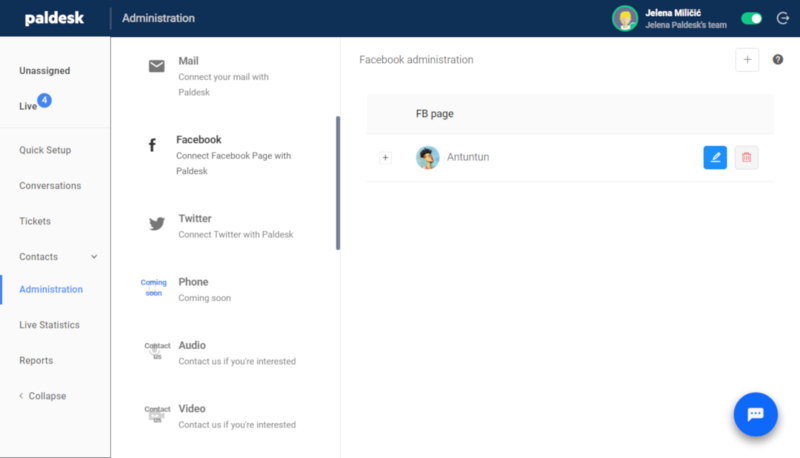 That’s it, now all the messages and notifications regarding your page will appear on Paldesk!